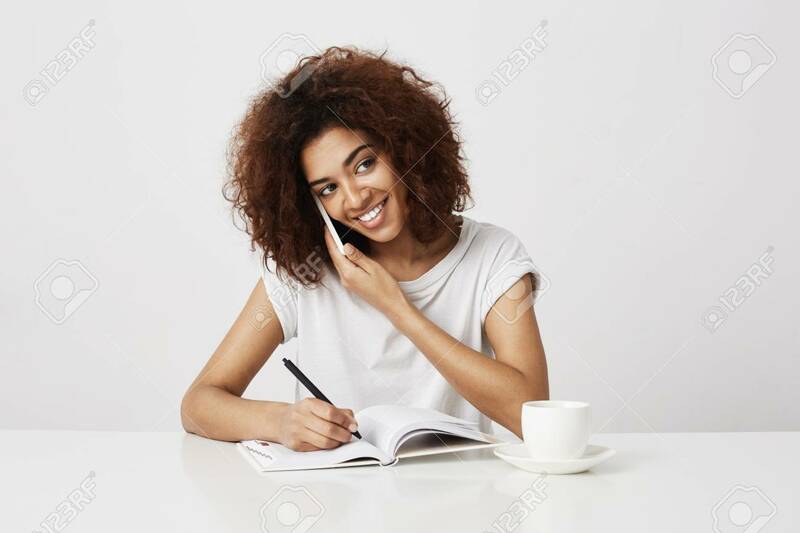 African Businesswoman Smiling Talking On Phone At Workplace... Stock Photo, Picture And Royalty Free Image. Image 79229950. Stock Photo - African businesswoman smiling talking on phone at workplace. White background. African businesswoman smiling talking on phone at workplace. White background.